So I finished the frame and body of my new skimmer (except for paint and water proofing). 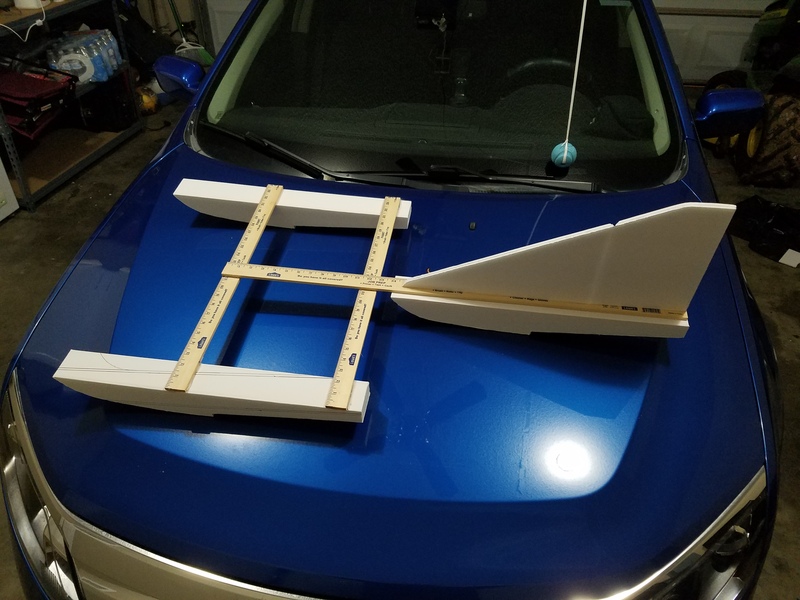 The frame is made from wooden yard sticks from Lowe's and the foam is from Dollar Tree (Yes the floats are design of the Flite Test crew made for the FT Simple Cub). This will be for both water and land. My question for everyone is; should I go with a single electric motor or a double with differential thrust? Let me know what you think and the pros and cons of each setup. Everything is hot glued together. I had the same concerns, but it seems to be holding together nicely. Also, I went with the yardsticks instead of something more rigid so there would be a little give when it goes on land. Thought it would act as a suspension. Will definitely consider something more than just hot glue though. Thanks for your thoughts! I’d do a single motor, two just seems overkill on something like this, I’ve built several little snow vehicles similar to that and with enough rudder throw they all work pretty well with just one motor. Good luck 👍. Since you have built some, what size motor and battery would you suggest? Not sure, how long/wide is it? All the ones I have built have been shorter than 15 inches long and 10 wide. This one is 2ft wide by about 3ft 8in maybe. Oohh, that’s a little bigger than mine, hmm, a c-pack should have enough oomph to do it, but you might need something else. But try a c-pack first. Do you have any pictures of the ones you've built? Unfortunately not, all the ones I have built have been disassembled for other builds. I'd lean in favor of dual motors though - then you don't have to worry about any waterproofing on the servo or the hinge line coming apart with moisture exposure. Here it is with a single motor setup.